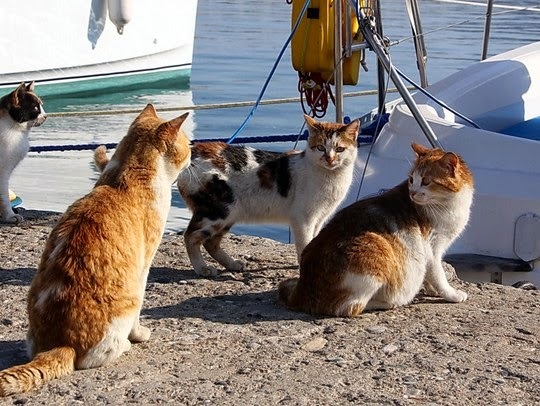 Traveling cats spotted in Bodrum, Turkey. 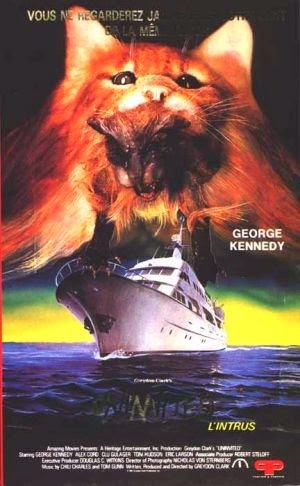 In conjunction with May Monster Madness, I'd also like to introduce you to UNINVITED, a horror movie from 1988 in which a genetically mutated cat goes on a killing spree on a boat. It's a bit cheesy but really fun, and it's available on Amazon Instant Video if you'd like to see it. Photos colorées ...comme la Turquie ! Now that's different. I've never heard of this movie, thanks for posting about it. Oh my the pool one ....we could so be there. A mutated kitty going nuts and taking bites out of people? Eeeekkkk! Loved the oranges in the background. What a lot of kitties in one place too. 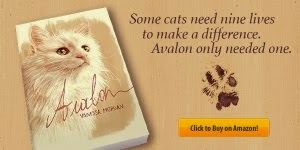 Being a Turkish Angora, I really liked the pictures of the fellow kitties in my homeland. I love how there is a whole pack of kitties just hanging out! Happy Pet parading to you! Oh my stars!!! How have I not heard of this movie? I immediately clicked on your link to find it on Amazon. Bummer it's not on the Prime so I can watch it for free but I might just have to spend the 3 bucks to check it out. Sounds too funny. Thanks for the fun post. I had a cat once. He liked to sleep on my chest to try and steal my soul. I think it worked. Haven't been right since. Those are all great photos. I couldn't select a favorite today, I love them all! 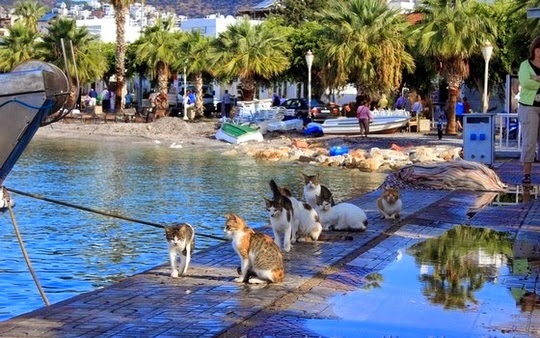 meowloz ta everee one in Bodrum frum all oh uz in TT !! heerz two a flounder fries & fun week oh end !! 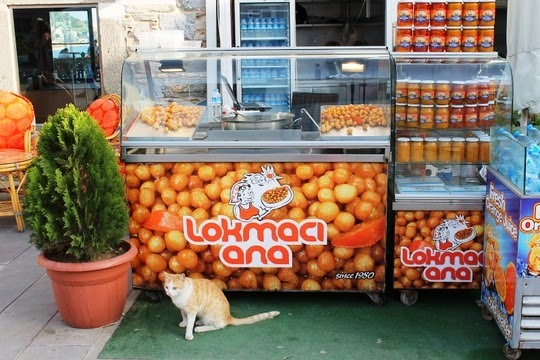 I love all the orange cats of Turkey! I've never seen "The Uninvited" which is strange because I slurp up every horror movie I come across regardless of how awful it is. Great post, Vanessa! how can i choose a favorite pic - they are all so fabulous - especially #'s 2 and 3. have a great weekend. cheers!! J'aime beaucoup la dernière photo. 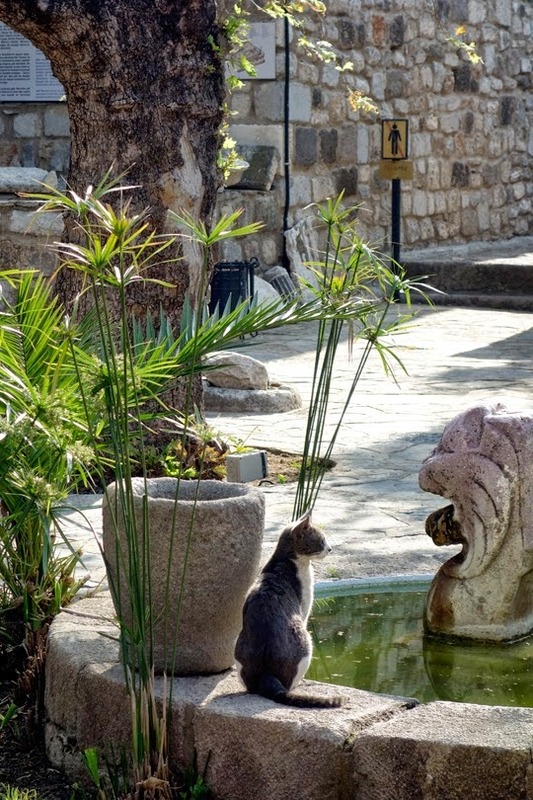 Il a l'air bien songeur ce chat au bord de la fontaine. Je suis une fois de plus surprise par le nombre de chats rouquins. D'autant plus que dans mon coin il y a surtout des tigrés ou des noir et blanc. 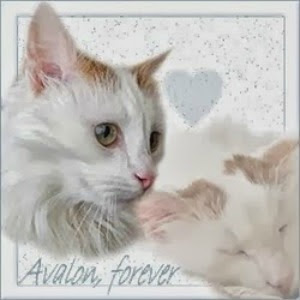 They are very lovely kitties! Oh the kitty horror movie looks scary! I love cats and horror movies...thats right up my alley! Pretty kitties, pretty scenery. Always love your posts. Beautiful kitties! And that movie sounds crazy!